Is there a new trend in the food paradise that is Hong Kong? We chat to Moises Mehl, raw chef at nood food for the low down. “For various reasons, be it health, environment or religion we’re seeing more Hong Kongers becoming part-time vegetarians”. “We regularly talk to our customers, and they would tell us that they would eat meat and seafood for most of the week but just go completely vegetarian for a day or two. As vegetarian diets become more “socially acceptable” and dishes easily accessible, more people are looking for different types of plant-based diets”. “That’s why we always serve a large range of raw as well as gluten-free salads, along with our vegan sandwiches and wraps at our nood food cafés. 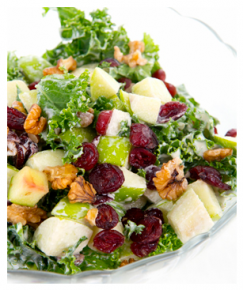 We are trying to cater to all different types of vegetarian needs”. “We also have non-vegetarian items, so, it’s an excellent place for vegetarians and non-vegetarians to visit together. Or for non-vegetarian to just try some vegan dishes without having to feel over whelmed, as they might at an all-vegan eatery”. “nood is probably a “flexitarian” restaurant with most of the emphasis on plant-based foods but also serving non-vegetarian dishes which is perfect for part-time vegetarians”. nood has many locations across Hong Kong Island, Kowloon and Singapore. 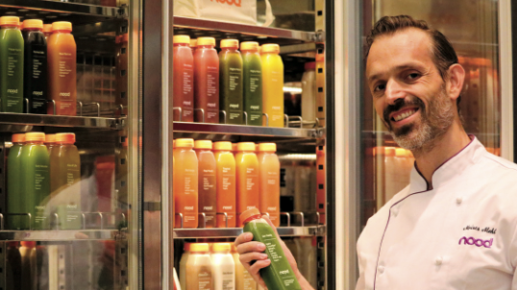 In the nood food grab-and-go fridges in Pure Gym locations in Central, Causeway Bay, Quarry Bay and Mong Kok customers can grab juice cleanses, salads, sandwiches and raw food snacks to go. All are made fresh and delivered daily from the nood food kitchen in Chai Wan. With four juice bars located in Central, Admiralty, Causeway and Tsim Sha Tsui, clients enjoy the full range of products available including organic cold-pressed juices, raw food, and made-to-order products such as superfood smoothies and organic freshly made shots. To find a nood near you, click here.